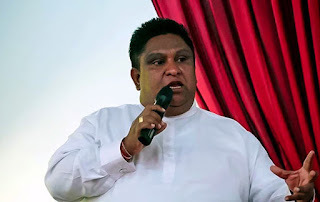 The trade union procedures adopted by doctors inclusive of staff of all hospitals in Uva province on the understanding that chief minister of Uva province Mr. Chamara Sampath has indecently reprimanded Badulla province lady medical health officer is still in progress, it is reported. Thus it is reported that this strike in all hospitals in Uva region is in operation today (3). of this, all activities of Uva province hospital had come to a total standstill. Accordingly, in support of the protest, staff of Demodera hospital, the drivers and nursing staff kept away from service yesterday. Government medical officers association, medical association of Uva province and about 21 trade unions joined hands in this strike.